How to make a moodboard ~ Elan Creative Co. 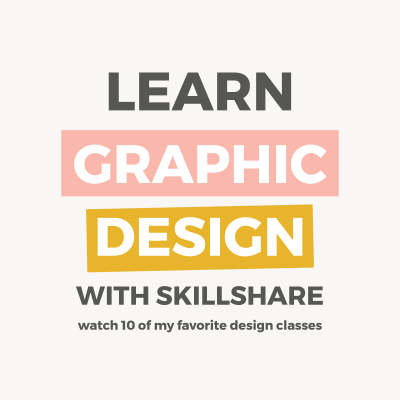 When I started my design career, I used to ask clients for examples of colors, patterns, and websites, but it didn’t take me long to realize that it wasn’t the best decision. Some of them wouldn’t send me the images I requested, or they would show me a site and expected me to make something similar. To avoid this, and make the design process easier, I started using moodboards. A moodboard, that is a sort of digital image collage, is not only useful for branding but can also be a great help whenever you are in a creative block and need a bit of inspiration. 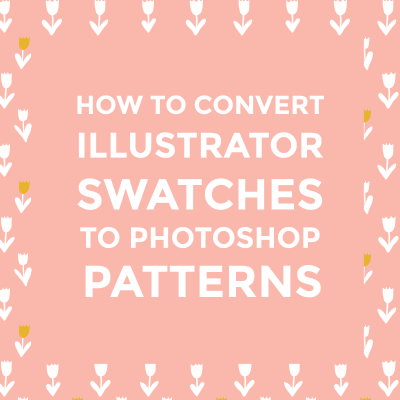 You can use them to create color palettes, or even when you want to practice your Photoshop skills. 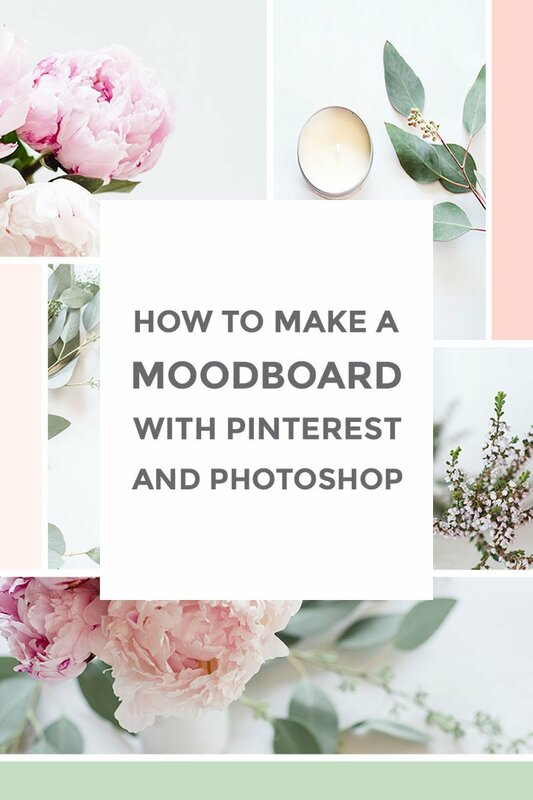 To create an image board, you obviously need images and that’s where Pinterest comes in. You can also save the images on your computer, but it’s easier to find and save images using Pinterest. Start by creating a private board, this way you won’t clog your followers’ feed. 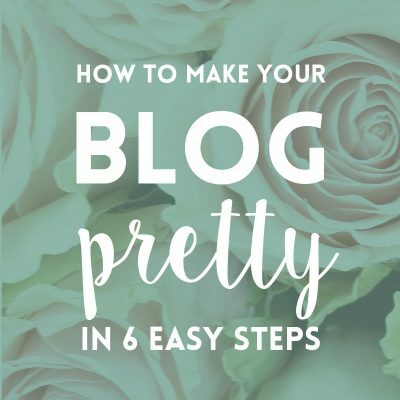 You can pin any image you like, though every board should have a topic or purpose, for example, you want to make a board for a blog re-design or for your new office. Your images should be linked by tone, style, or color. There is really no wrong way of doing this, you just need to pin as many images as you like, while making sure they reflect a certain aesthetic. In the above board, I was looking for fun images, I wanted vibrant colors and funky patterns. There is a recurring theme of youth and playfulness, that makes you think of summer holidays. When you have enough images, you can start selecting the ones you want to use. You will see that there are similarities between them. Save the ones you want to use and open Photoshop. I have to tell you a little secret: you don’t need Photoshop. You can do this using any image editing software, but I like using Photoshop for almost everything. When it comes to Photoshop, I’ve learned that there’s no right or wrong way to do something. So the easiest way to create a collage is to throw everything into Photoshop and then make sure the images fit together and look nice. 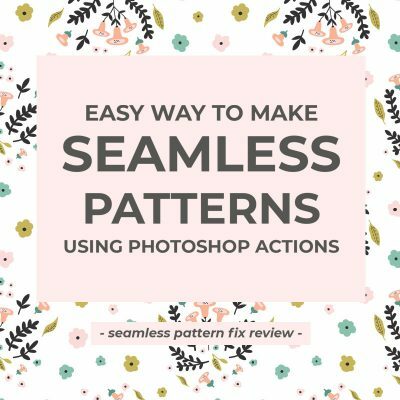 Another way is to start by making an image template that you can re-use. For this, I use rulers, guides, and shape tools. The rulers and guides are very helpful because they help you align the images. 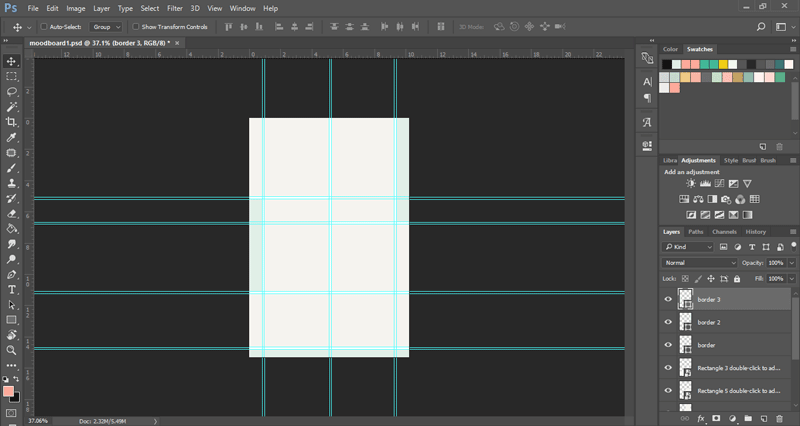 I use the guides to draw a grid, then I draw the moodboard template using the rectangle or ellipse shape tools. Learn more about using rulers and layers. Once the grid/template is ready, all you have to do is drag and drop your images. 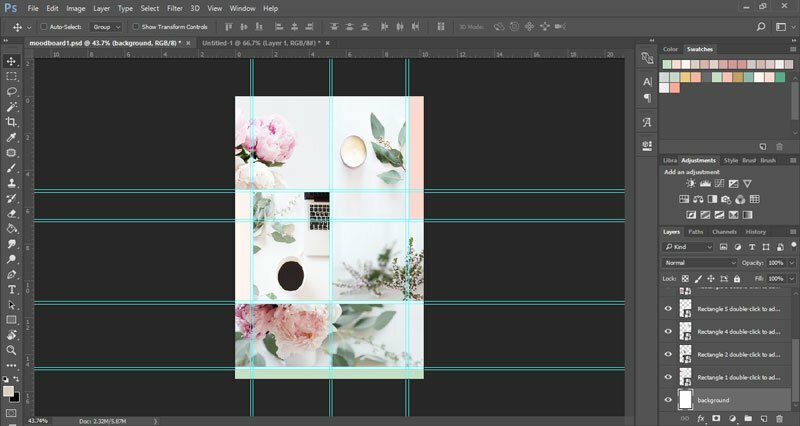 You can crop and re-size the images to fit your board or you can use clipping masks instead of cropping them. Most of these images are already edited, but you can change the hues, saturation, or brightness to make a more cohesive board. Do you use moodboards for your designs? How do you create them? If you are interested in something and would like to read about it here, let me know.